Royal Air Force cap badges for sale. Most of our cap badges are from the UK and British Empire or British Commonwealth, but we occasionally have aviation insignia from other countries available to buy. When buying British insignia, many badges feature crowns and these can be a useful guide to identifying and dating them - King's Crowns are a different shape to Queen's Crowns. 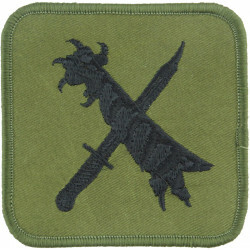 hat badges worn by Officers are different to those worn by Warrant Officers, which are also different to those worn by NCOs and ordinary airmen or women. a beret badge is sometimes smaller than the equivalent cap badge worn on a peaked (visor) cap. 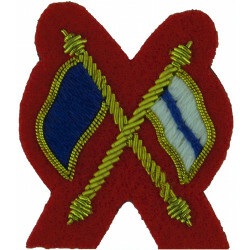 a side-hat badge is sometimes of a different design to the beret badge or cap badge. 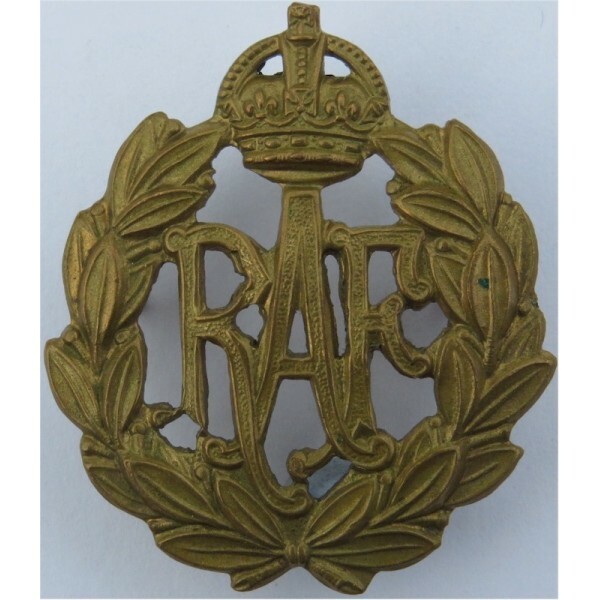 In general, the same hat badges were worn by various parts of the RAF, such as the WRAF (Women's Royal Air Force), RAF Regiment, RAuxAF (Royal Auxiliary Air Force), RAFR (Royal Air Force Reserve), RAFVR (Royal Air Force Volunteer Reserve), and RAFVR(T) (Royal Air Force Volunteer Reserve (Training)). An exception is the two sizes of sew-on Staybrite cap badge which were only worn by the WRAF. We also stock Air Training Corps cap badges. Air Force Badges There are 24 different items.